Thanks for visiting McCarthy MacLean Music’s Head Office where you will find examples of all our Live and Recorded work. 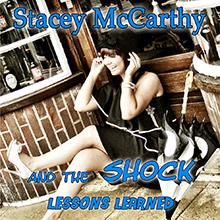 Performing remains a great passion of mine and the number of songs in my SHOCK repertoire continues to grow constantly. It is interesting to see them develop – some recent ones are acoustic based but of course the Big Band influence is never far away. Now I’m able to concentrate on all my Performing Arts interests full-time, I continue to enjoy recording and performing a very wide rane of other artists’ work. But now we can fix a firm focus on writing and producing my own material too. We released our debut album; ‘Lessons Learned‘ in December 2011; ‘Vacancy‘ was an early Lessons Learned favourite, although ‘Till The Next Time‘ has since caught up. We knew some songs on Lessons Learned like ‘I’ll Testify‘ would transfer between different presentations easily. ‘Moments‘ has been more of a surprise to us, which is now included in our 2, 4 and 7 live piece line-ups.